On November 22nd, a gala evening was held in Prague in the historic and representative premises of the Prague Mayors' Residence on the occasion of the announcement of the results of the Czech Brand project. TATRA TRUCKS was ranked first in the Traditional Czech Brand category. Present status, prestige of the importance of TATRA and TATRA TRUCKS are highlighted not only by the economic results, the development of new trucks, rising sales and support for various projects, but also by social awards. 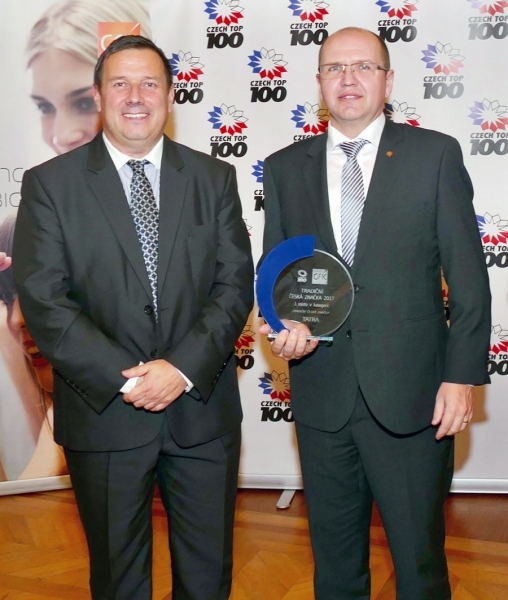 Most recently, the Kopřivnice truck manufacturer was awarded with the title Traditional Czech Brand 2017 as part of the Czech Brand project, organized by CZECH TOP 100 in cooperation with the international research agency GfK. TATRA TRUCKS thus defended last year's prize. The results of the competition were voted by the general public as part of GfK's representative research. 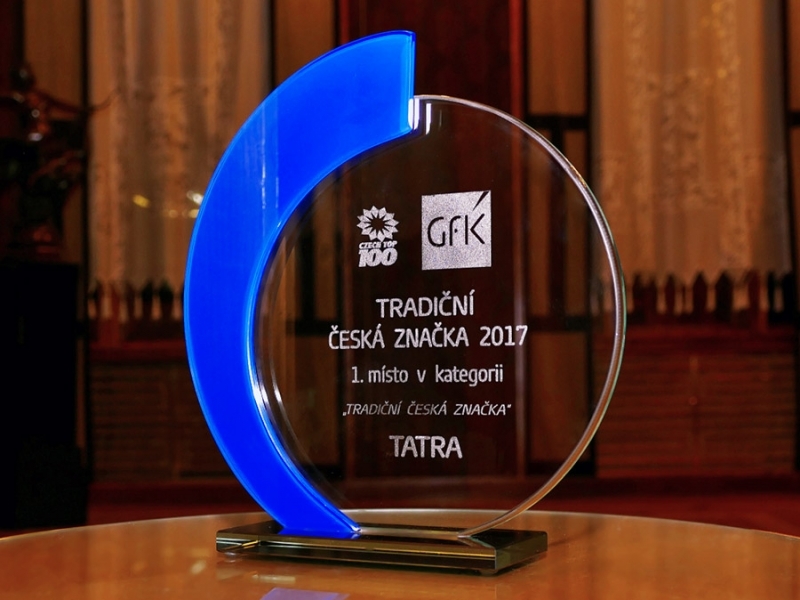 On the festive evening, Radomír Smolka, Vice-Chairman of the Board of Directors and Technical Director of TATRA TRUCKS received the Traditional Czech Brand Award 2017 for TATRA TRUCKS, owned by entrepreneurs Jaroslav Strnad and René Matera. "We really appreciate this award, especially when we won it for the second time in a row. It is evidence that the public perceives our society and the TATRA brand as part of the Czech identity and one of the symbols of the Czech industry. This is binding but also inspiration for the future," said Radomír Smolka. TATRA TRUCKS continues to consolidate its good name under Czech owners. This year, which is mainly driven by a stabilization following a sharp increase in production, the company produces and sells almost 1,500 vehicles, investment in production and production facilities will amount to 460 million crowns. One of the most important innovations is the new robotic welding technology of the chassis of the chassis of vehicles, which will be carried out directly in TATRA TRUCKS in Kopřivnice. TATRA TRUCKS also engages in socially beneficial projects. This is especially the new TATRA museum, which will be established in Kopřivnice in cooperation with the Moravian-Silesian Region and the existing Technical Museum TATRA. The project is financially supported by the Ministry for Regional Development of the Czech Republic and the European Regional Development Fund under the Integrated Regional Operational Program.